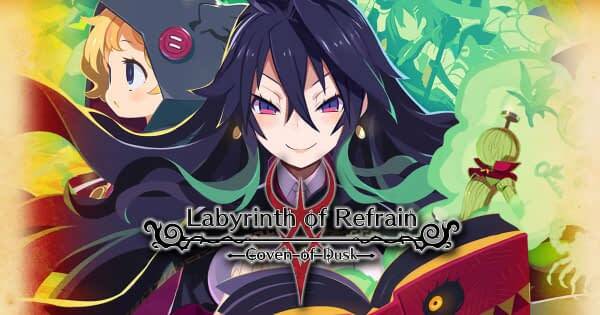 NIS America head into the weekend with a brand new trailer for Labyrinth of Refrain: Coven of Dusk, only this one is a full English translation with some scenes that may make you do a double take on the translation. While the voice cast is great, there’s a moment in the trailer that several people have pointed out online where Luca calls Dronya her “auntie”, which is their localization of “obasan”, which is more of an insult to call a woman old. It just doesn’t have the same impact calling her auntie. Beyond that, it’s a fine trailer to watch, along with the description that came with it below. Luca witnesses a harmless crime, and is harmed. In a seemingly peaceful little town, darkness and intrigue brew beneath the surface. Join Dusk Witch Dronya and her brigade of puppet soldiers as they explore a miasma-filled labyrinth. With the aid of the living book, the Tractatus de Monstrum, what will she and her coven discover? And what dangers lurk amidst the poisonous air that fills the unending maze? Enjoy a brand-new RPG experience in this highly-anticipated title from Nippon Ichi Software. Embark on a tale of a lifetime and uncover the truth behind the Labyrinth of Refrain.